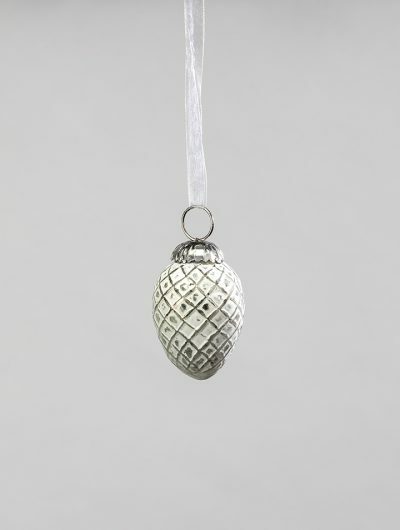 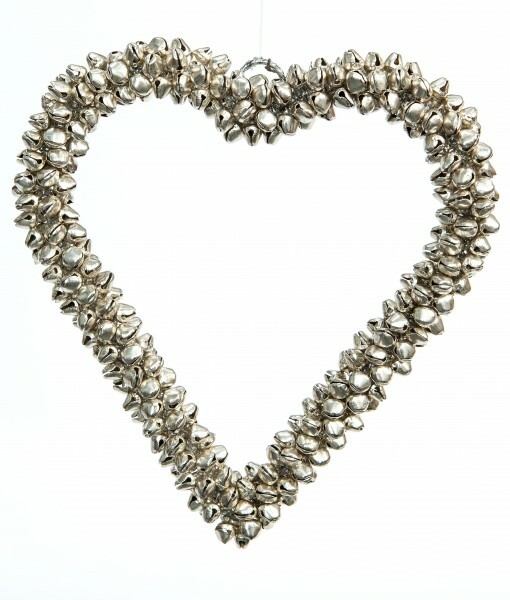 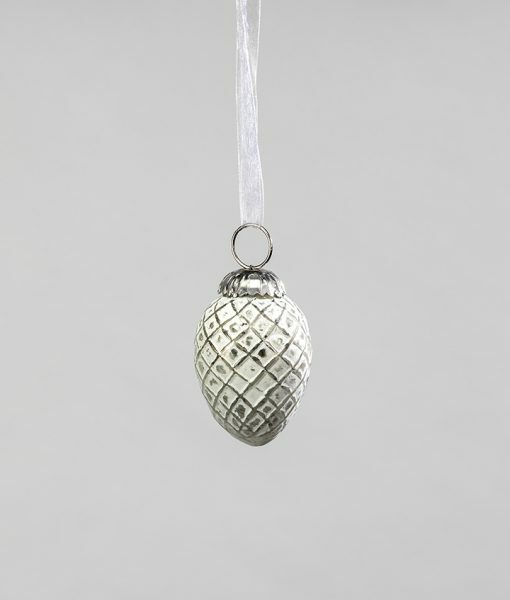 This beautiful round bauble / christmas decoration and its subtle silver and white tones gives a real winter feeling to any Christmas Tree or decorating. 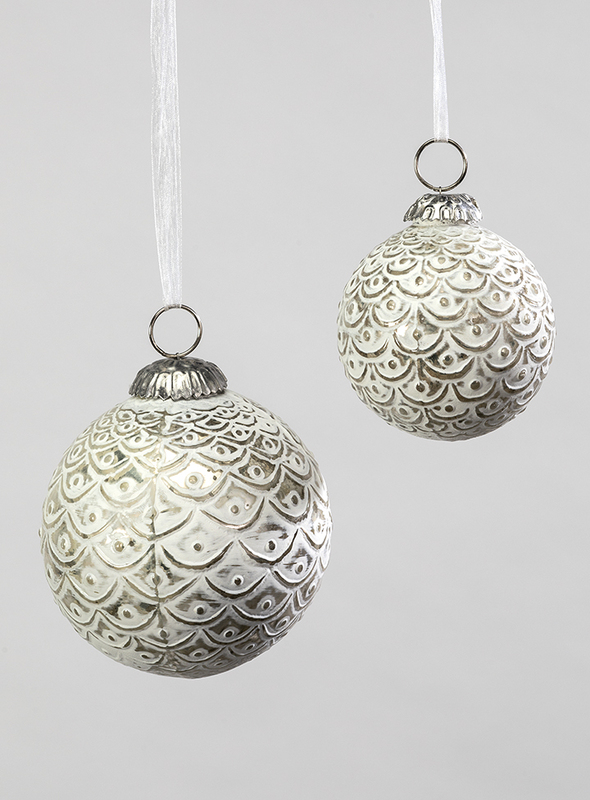 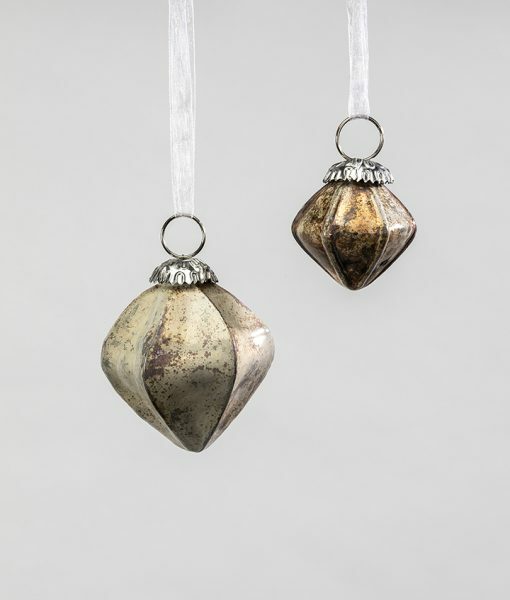 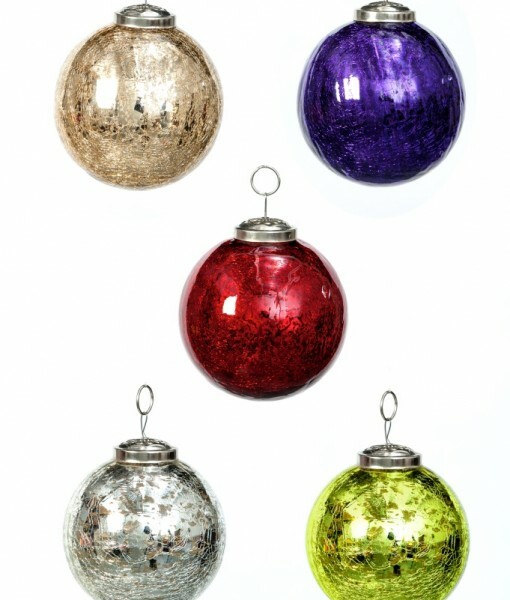 The round bauble is sold in two sizes: small and large. 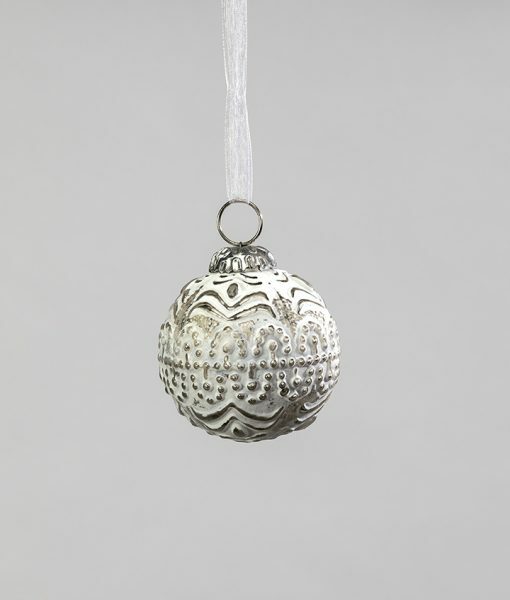 Minimum pack size of 12 small baubles, or 6 large baubles.